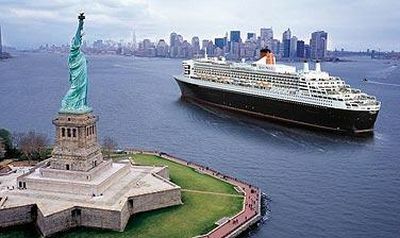 Winter 2013 will be busy for Aer Lingus as it introduces two new destinations and increases frequencies on 12 routes. The long-awaited maiden flight of the Bombardier CSeries aircraft is close. Named Flight Test Vehicle 1 (FTV1) the lead aircraft has successfully obtained Transport Canada's Flight Test Permit, thereby clearing the way for its first lift off, expected in the coming weeks. This follows a series of pre-flight tests including low-speed taxi runs. FTV1 will now proceed with high-speed taxi runs whereby the aircraft simulates speeds for flight take-off. easyJet is gradually revealing its plans for the 25 pairs of slots it has procured from Flybe effective 30 March 2014. 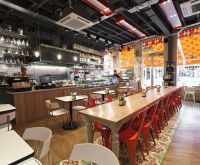 Gatwick passengers will soon be able to sample the delights of Middle Eastern cooking when stylish Lebanese restaurant Comptoir Libanais opens its first airport restaurant in North Terminal later this year. Menu includes extensive choice of vegetarian and Halal dishes, children’s menu and takeaway options. 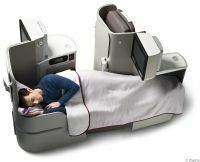 Iberia’s Madrid – Luanda service is the airline's first route to become totally Airbus A330-300s. 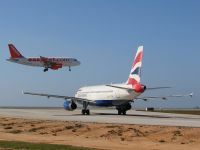 The wide-bodied, long haul aircraft will be used to connect the capital cities of Spain and Angola twice a week, on Mondays and Fridays. They are 15% more fuel-efficient than the A340s they replace. 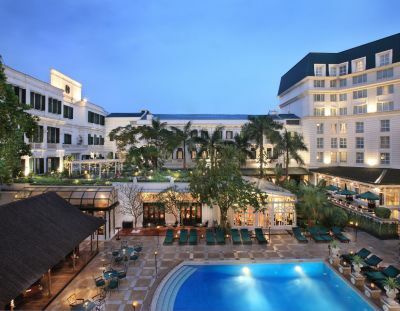 Best Western International (BWI) is continuing its rapid expansion across Indonesia with the signing of a new hotel in Malang, East Java, the first international hotel in a town of nearly one million inhabitants. Emirates, based in Dubai (UAE), is to launch non-stop passenger services to Taipei (Taiwan), its 16th destination in the Far East. 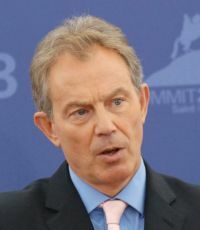 Tony Blair, the former British Prime Minister, will address the World Travel & Tourism Council’s (WTTC) Asia Summit in Seoul (Korea), next week (Tuesday/Wednesday 9/10 September). The timing may be opportune for Mr Blair to comment on how the tourism industry should deal with war threats. He will reflect on the social and economic contribution of industry as a driver of jobs and economic prosperity. It may seem a long way off (4-5 February, Earls Court 2) but organisers Centaur are already heavily promoting the 2014 Business Travel Show (BTS), Earls Court's final trade exhibition before its closure. From 2015 the show will be held at nearby Olympia. The 20th anniversary event will include two new feature areas – the International Hotel Village and the CSR and Sustainability Business Travel Zone. These complement the Business Travel Show Conference, Business Travel Technology Showcase, Airline Pavilion, ASAP Pavilion of Serviced Apartment Providers and ITM Village (Institute of Travel & Meetings). The show is co-located with Travel Technology Europe and Hospitality Technology Europe. What was clearly thought a ‘done deal’ is far from it. The proposed merger and effective takeover of American Airlines by US Airways looks like dragging on with serious commercial repercussions for both airlines. Plans for route consolidation and management changes for the winter season have now been scrapped and even summer 2104 looks suspect. As reported in BTN 19 August the US Department of Justice (DOJ) has filed a lawsuit to block the merger. 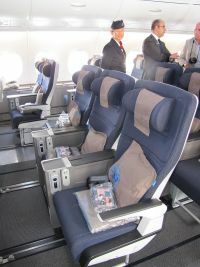 BA has been explaining the unique layout it has on its new 12-strong Airbus A380 fleet. The main deck (lower deck) is laid out at the front with 14 First (1+2+1), 24 Club World Business Class (2+4+2) amidships, and the balance 230 World Traveller Economy (3+4+3). Australian carrier Qantas looks like it is putting its recent financial woes behind it, swinging back into profit. 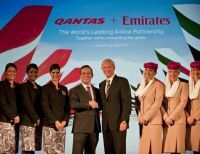 Key to this success is the partnership with Emirates which has helped narrow losses at its international operations. 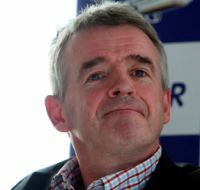 Whilst it tries to live up to its reputation as “The world’s most annoying airline” Ryanair says that it plans to pursue a takeover of Aer Lingus in spite of the UK Competition Commission rejecting the idea last week. This follows a similar rebuff by the EU six months ago. Yesterday (1 September) Swiss International Air Lines officially introduced a new fare structure at Geneva, an innovative scheme in keeping with competing airlines' marketing strategies. It is also expanding its network of non-stop services from the airport to 24 destinations and setting up an operational base. Both these actions are intended to align the airline’s Geneva-based product even more closely to the needs of customers in Western Switzerland and adjacent French border areas. 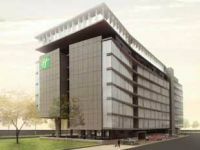 IHG (InterContinental Hotels Group) continues to increase the Holiday Inn brand’s footprint in Latin America with the signing of the new-build Holiday Inn Lima Airport hotel. The US$24m hotel will be located adjacent to the city’s Jorge Chavez International Airport. 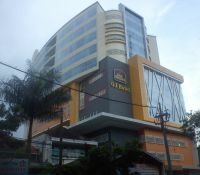 The property will be managed by the same operator as the established Crowne Plaza Lima, actually in the city. Passengers at Luton Airport this summer will have the opportunity to learn more about the work carried out by its charity partner Sue Ryder with a new exhibition on display in the airport’s Gateway Gallery. The exhibition forms part of the airport’s commitment to support a nominated charity partner through its new Community Engagement Strategy. As a result of several airlines, including easyJet and Monarch, changing their fees and regulations relating to hand baggage, holidaymakers are facing even more confusion when packing their luggage. Do you have a son or daughter considering a job as an airline pilot? The outlook is good. Boeing projects the commercial aviation industry will need more than one million fresh flight deck crew and technicians to support the expanding demand for new aircraft deliveries over the next two decades. At an event marking the launch of a 787 flight training campus in Miami, the company released the 2013 Pilot and Technician Outlook – a respected industry forecast of aviation personnel. 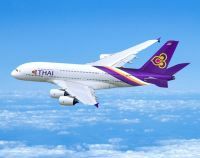 More than 50 passengers and crew were injured on Friday when a Thai Airways A380 superjumbo hit severe turbulence during a flight from Bangkok to Hong Kong, the carrier said. One stewardess suffered a broken collarbone, while the other injuries were minor such as bruises, a Thai Airways official who did not want to be named told a local news agency. 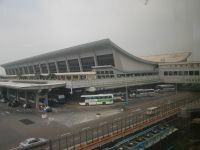 About 500 passengers were on board the plane at the time of the incident, which happened as it was preparing to land at Hong Kong's Chek Lap Kok airport. The official said that the injured – 37 passengers and 15 crew members – were sent to hospital for treatment, with 22 already discharged.